How is your day coming allong? Mine is a bit boring, as there is too much work in office and at home. Anyways, this weekend I decided to use henna on my hair for the first time ever in my life. 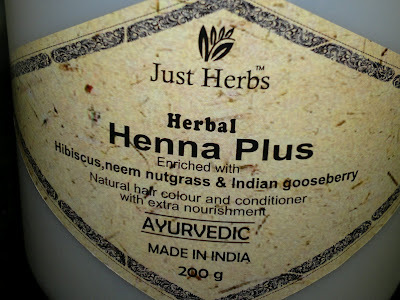 I have recently got the Just Herbs Henna (shown here), and since it was a long weekend, I decided to do it on Friday itself, so I could see the effect on my hair and review it here for you. So, let's take it forward. I took four tablespoons of henna (for my shoulder length hair) in a plastic container and added one teaspoon of coffee and little water to form a thick paste. 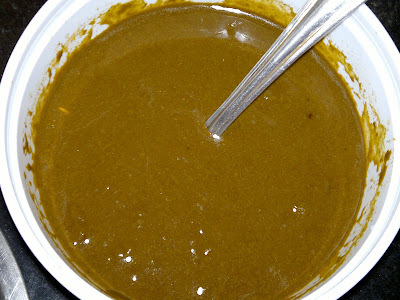 Kept the mixture like that for 1.5-2 hours and applied it on my hair. It gave a cooling sensation and since the weather has gone dry, it dried quickly, but I kept it on for 2-3 hours. Then, I washed it off with water. 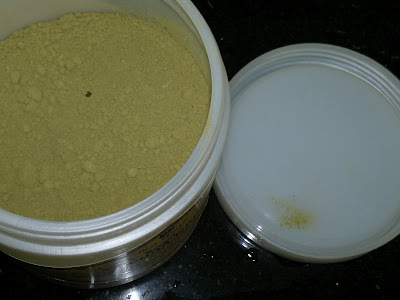 The henna covered 90% strands of my grey hair, in a single application, the color was good and I didn't get any hair fall as well (which is my biggest fear whenever I am doing anything with my hair). I don't know if other hennas fair the same, as this is the first henna I have ever used. After my hair was dry, I noticed the color and shine in my hair. My hair looked shinier than ever before and the color looked vibrant which I liked. 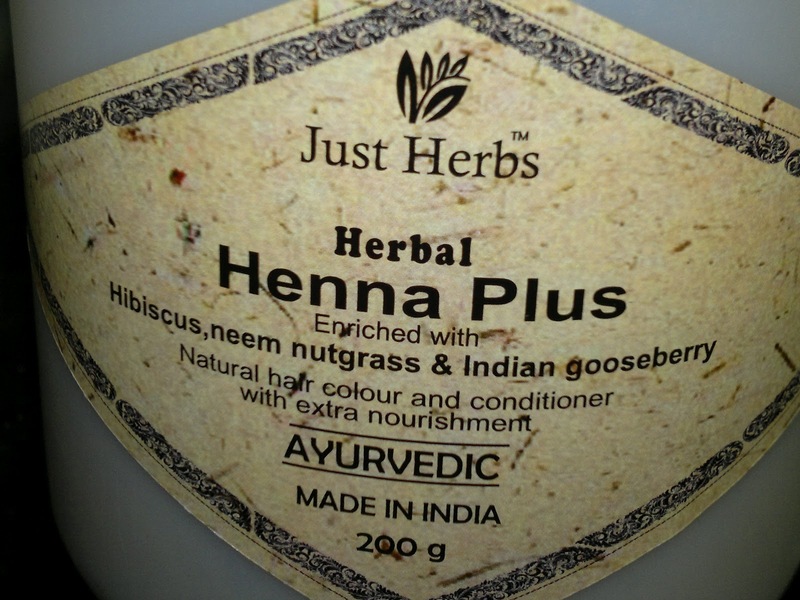 The texture of my hair didn't change and the henna though naturally drying (maybe because of the added ingredients) didn't dry my hair. Though my hair smelled of heena, it was not overpowering as my hubby doesn't like the henna fragrance (MEN !!!). 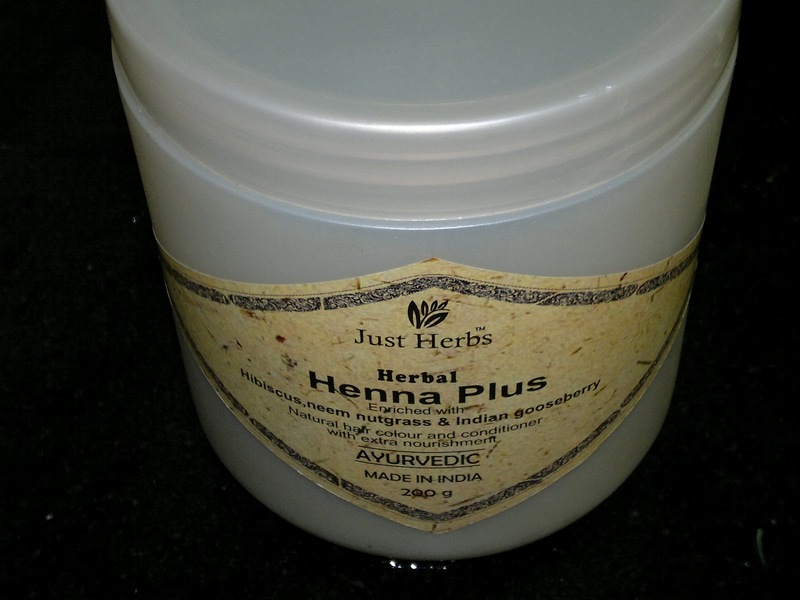 So, all in all this henna satisfied all my requirements and now I can use henna regularly without any fear. This box would last me for at least 6 more applications, so I can say that this is a very good product at a very good price. 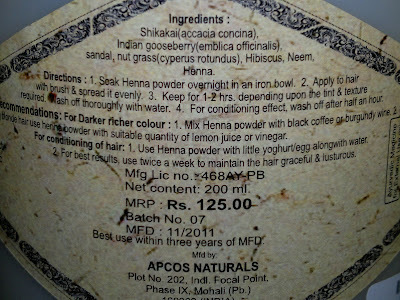 Product rating: A, available via urbantouch and select stores (see here). Would recommend this to first time users as my experience was better than what I expected, but I have to compare this with other hennas available in the market to reach a conclusion. Sound good..but i want to know if the color is more on the red side or to the light brown side? Cause i like dark brown, n neither of the above.